Just when you thought it was safe to go back to Gotham! Based the critically acclaimed Fox TV series, some of Gotham's dangerous villains are back! 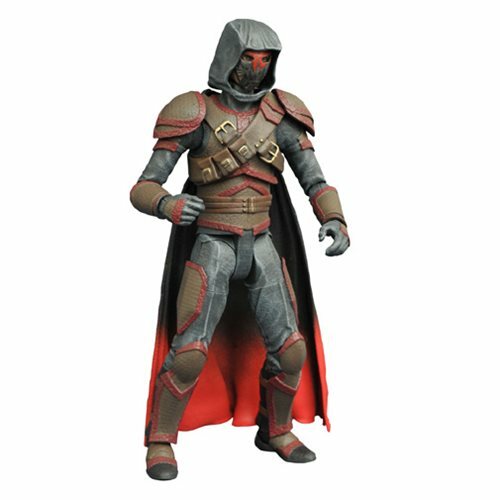 This Azrael Action Figure stands about 7-inches tall and features up to 16 points of articulation. Recreate your favorite scene with the TV inspired diorama part of a jail cell from the Gotham City Police Department! Collect Mr. Freeze (sold separately) and build the complete jail cell. This Batman Gotham Select Series 4 Azrael Action Figure comes with display-ready packaging with spine artwork for easy shelf reference.